Guided Tours Of St Ives run themed tours every week - led by local guide Valerie Hurry. No need to book - just turn up - tours start at 11.00 am from The Guildhall. Cost is £5.00 per person. 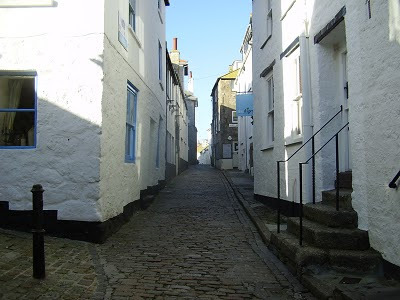 On Mondays and Fridays "St Ives Then and Now" covers the history of our town. On Thursdays "St Ives In The Frame" is about art and artists and our rich artistic legacy. Great fun and a chance to see things that you might not notice on your own. St Ives has quite a few surprises - so go along to find out ! Valerie also runs tours for individuals, couples and groups - these can be tailored individually for you. Great blog Steve. You may be interested in our new music blog on live music in Cornwall, including St. Ives of course! We're hoping to compile something close to a definitive gig guide for the area also.